Consult design work, provide and install aquarium equipments. Consult design work, provide all artificial and artistic skating rink device types. Import, supply, install electric and charged generators machinery systems. Import, supply and install equipment systems to avoid and get fire under control. Provide surveillance camera system, surveillance radar system. Representative office of equipment manufacturers catering to protect national security in Vietnam. Providing the chemicals used for water and environmental treatment laboratory. With the professionally durable development, we always innovate continuously, improve efficiency technologies, increase the quality of products and services so that we can not only meet the needs of customers but also try our best to become Vietnam's leading company in all of our operating field. 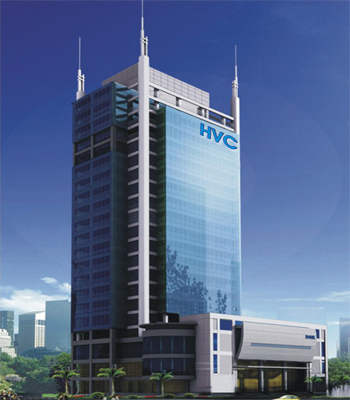 HVC technology and investment joint stock company are growing faster and faster with the goal "Reaching the height stature – thirst creation". We believe that we can bring benefits and the highest value to our customers, partners and community; contribute to build Viet Nam more green, clean and beautiful.